It's easy! Add names, dates, etc. 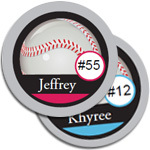 to these bottle cap images for baby showers, birthday parties, sports teams and more! 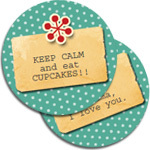 View, edit your text and print your bottle cap images with Adobe Reader. It's Easy, Free and Safe! NOT FAMILIAR WITH EDITABLE PDF's? Call us: 800-640-9978. We'd love to help! 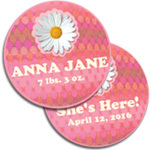 We have partnered with DaisyKDesign.com to provide you with bottle cap images designed specifically for use with our mini, standard and over sized bottle caps! When you make your purchase the PDF is immediately available for you to download and print. Once you have purchased a Digital Image you are free to print it and use in finished product as many times as you would like. 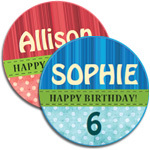 copyright strictly prohibits reselling or distributing any of the designs as creative property or reselling of the PDF itself.